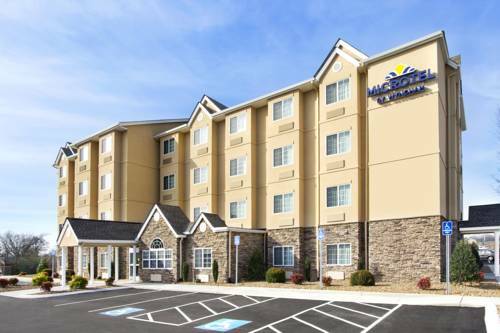 This Microtel Inn and Suites by Wyndham Shelbyville in the heart of historic Bedford County is just minutes from the Tennessee Walking Horse National Celebration Grounds, and an easy drive to the Jack Daniels Distillery and colorful Bell Buckle, TN. Start your day off right with complimentary continental breakfast, and stay in touch with complimentary wireless Internet access. Work out any time of day in the 24-hour fitness center, splash in the pool, and take advantage of ample complimentary parking and laundry facilities. The business center features fax and copy service, and meeting rooms. Modern guest rooms feature 32-inch flat screen TV and pillow-top mattress, or upgrade to a suite, complete with microwave and refrigerator. Handicapped-accessible and pet-friendly rooms and are also available. Smoking is not allowed at this hotel. See Patsy's gold lame pants, her vacuum cleaner, and her wristwatch of death. Opened in 2017, only 54 years after her untimely demise. Miss Baker, along with fellow monkeynaut Miss Able, was the first U.S. animal to flying into space and return alive. A majestic, full-size heathen god and temple, in the buckle of the Bible Belt. Survivor of the 1897 Tennessee Centennial Exposition, now an art museum. Packed into this Nazi box car are 11 million paper clips, each representing a World War II casualty. A sincere project by Tennessee school children.